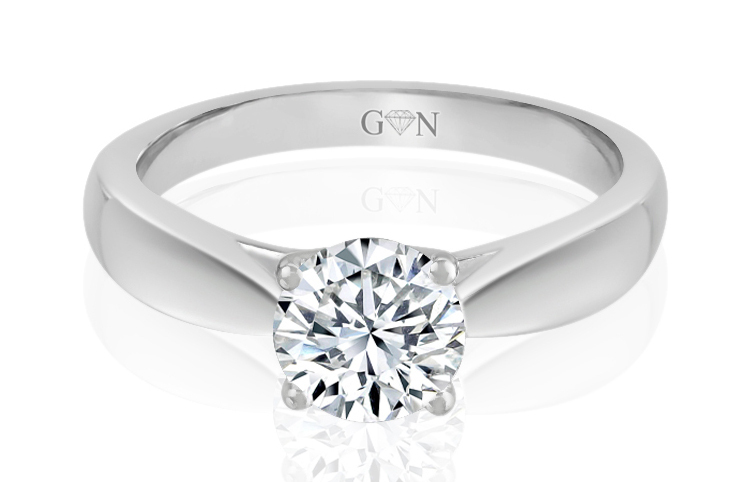 18ct White gold Ladies Engagement ring set with 1x.52ct round brilliant cut Diamond, GIA certified, Colour G, Clarity SI2 in Tension setting. R746 LADIES SOLITAIRE DESIGN RING 18ct White gold Ladies Engagement ring set with 1x .53ct GIA Certified, Colour D, Clarity SI1 in four claw setting. R881 LADIES SOLITAIRE RING 18ct white gold Ladies Engagement Solitaire ring set with 1x.80ct Round Brilliant cut Diamond, GIA Certified Colour F, Clarity SI1 in four claw setting..